Can we talk about something?... Yes, I'm referring to the current beauty trend sweeping the web, extreme nail art. 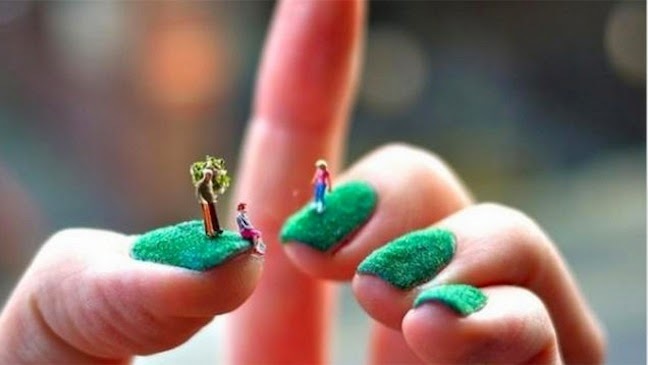 From 3D sushi rolls adorning each finger to miniature towns perched atop nail beds, manis are getting out of hand (pun intended). How does one function in the real world with a manicure that acts more as a meal reminder than a beauty enhancement? 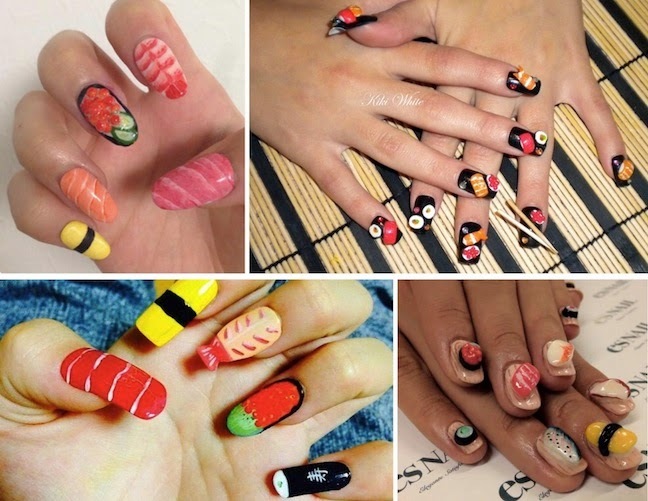 It seems as though women in Japan aren't worried about these practicalities, because according to The Wall Street Journal sushi nail art is all the rage. But ladies beware, before you decide it's "cute" to curate your favorite cuisine on your hands , realize there's no stopping a hungry seagull (or business man) from swooping down to dine. With all this seen and said, although I may gawk if I saw someone walking down the street with extreme nail art, I have a new go-to white elephant gift! What?! I need to get on pinterest more, I didn't even know this was a thing! Yikes, sorry but no! Very funny though! It's definitely cute, but certainly not practical. Unless your job is to sit around and show off your awesome sushi mani. These colors are so pretty, love them all. so amazing. these colors are so cute. So I would accidentally destroy this immediately but I love it!